A brand new set of challenges have been added into Fortnite with update v8.30 that will allow players to collect free in-game items and rewards. There are a total of four challenges that players will be able to complete, with a new one unlocking daily. Once players complete the tasks, they will be rewarded with a new Epic emote, Boobytrapped. 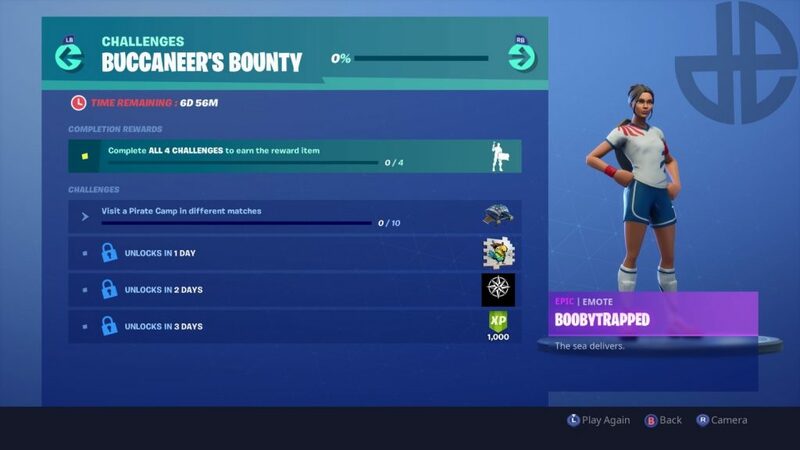 Players will be able to unlock the exclusive Boobytrapped emote once they complete all 4 Buccanner’s Bounty challenges. 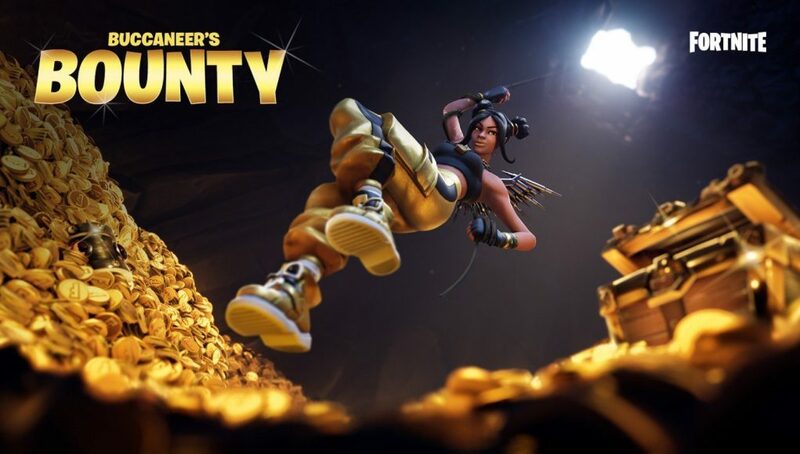 The first challenge will reward Fortnite players with a pirate-themed glider to go along with Season 8’s theme. What are the Buccaneer Challenges? The first challenge tasks players to “visit a Pirate Camp in different matches”. Players can immediately drop to a Pirate Camp, and earn progress towards the challenge. One players complete the challenge, they will unlock the exclusive pirate-themed glider. The next three challenges will unlock over the next three days, with one unlocking each day. 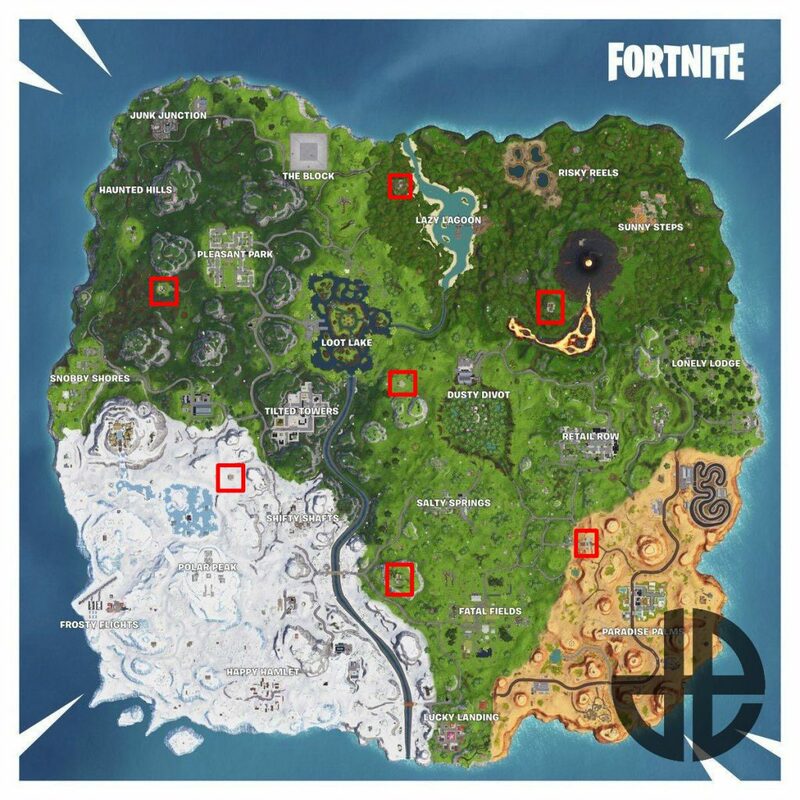 All locations for Pirate Camps in Fortnite. A lot of changes were added in Fortnite with update v8.30 on April 10, including the addition of Respawn Vans. Respawn Vans, made popular by Respawn’s Apex Legends, allows players to respawn their eliminated teammates by delivering their Respawn Key. Fortnite competitive players are not happy about the recent change due to the Fortnite World Cup qualifiers beginning on Saturday, April 13. The addition of Respawn Vans and the removal of the Siphon in-game mechanic truly changes Fortnite’s meta. Fortnite players who have been practicing for months are now facing a steep hill to climb as Epic continues to update and change Fortnite each week, which leaves them with little time to prepare.